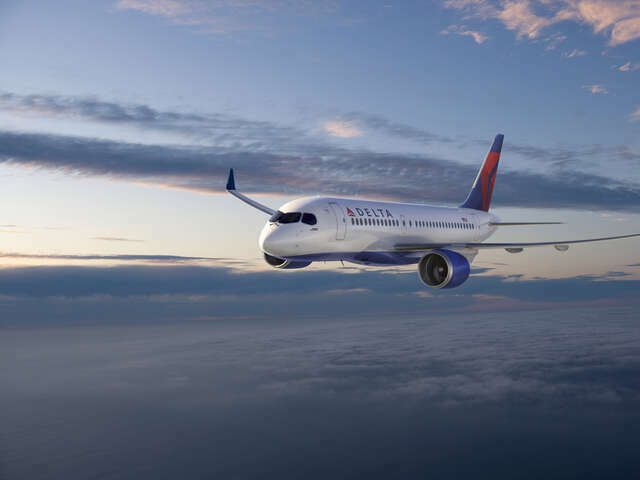 Delta is celebrating a new tech milestone with the airline's first aircraft equipped with high-speed Wi-Fi, powered by Gogo's 2Ku technology, entering service. Today, August 3, 2016, Delta is celebrating a new tech milestone with the airline's first aircraft equipped with high-speed Wi-Fi, powered by Gogo's 2Ku technology, entering service. Ship 3741, a Boeing 737-800, entered service on June 28 on a flight from Detroit to San Diego. The aircraft is the first of more than 600 aircraft to have its current air-to-ground system upgraded to Gogo's 2Ku high-speed satellite-based service. 2Ku is next-generation technology that provides consistent, uninterrupted coverage nearly anywhere in the world, including over oceans. It offers faster speeds, increased bandwidth and expanded Wi-Fi access beyond the shores of North America for customers traveling on flights between the U.S. and Latin America or the Caribbean. It also offers reduced drag and fuel burn compared to other Wi-Fi systems. With summer operations requiring heavy aircraft utilization, 2Ku installations will resume in the fall. The high-speed service will eventually roll out to around 80 percent of Delta's domestic mainline fleet. Delta has completed installation of Ku-band satellite Wi-Fi on nearly all of its wide-body international fleet – including Boeing 747, 767, 777 and Airbus A330 aircraft as well as Boeing 757 aircraft operating on long-haul routes – and will be 100 percent complete by September 2016.